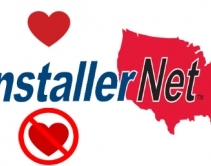 By Jason Knott · February 25, 2019 • Custom-integration-oriented manufacturers like Noon Home and Brilliant sign deals with InstallerNet’s 4,000-strong national integrator network, which is much different from online lead referral services. By Julie Jacobson · March 4, 2015 • We saw it at CES 2015, we'll see it at ISC 2015: Leaders like Honeywell and ADT are mulling DIY channels for their professionally monitored security and home automation systems. By Julie Jacobson · January 16, 2015 • Swann, maker of hugely popular DIY surveillance products, could sell a ton of new SwannOne home automation systems, with professional security monitoring, through existing retail partners. By Rachel Cericola · October 3, 2014 • Swann enters the smart home market with its SwannOne, hub features support for Wi-Fi and ZigBee. By Robert Archer · May 7, 2012 • The Swann MP3 Doorbell can wirelessly send signals distances up to 165 feet and it can be setup with SD cards as large as 32GBs to store as many as 10,000 songs.